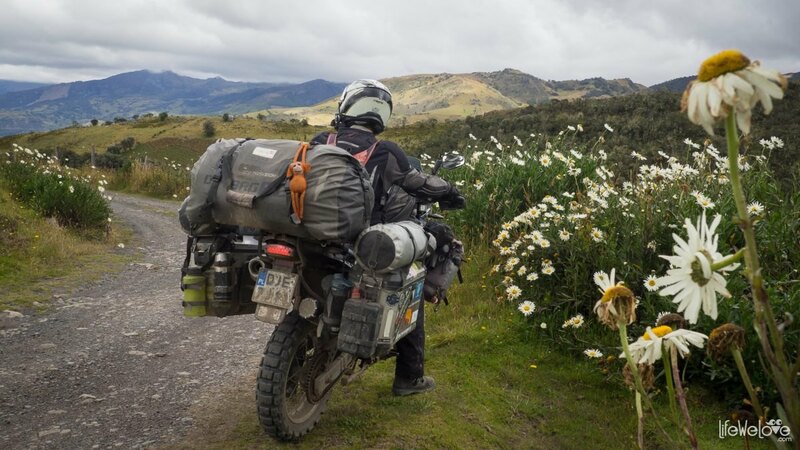 In Colombia we were about experience the Andes for the first time and we’ve been long waiting for this moment. 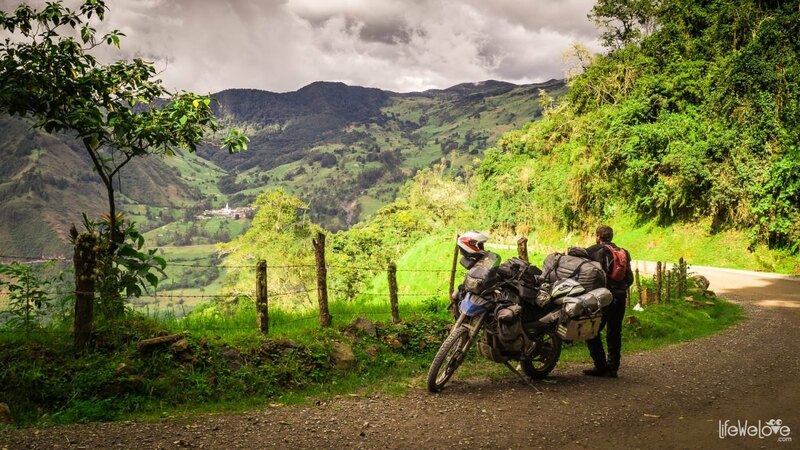 That’s why after a cruise from Panama to Cartagena, with our motorbike on board, we immediately set El Cocuy National Park as our next destination. 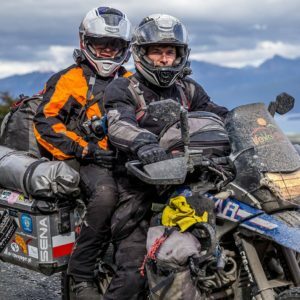 It is them, the roads close to El Cocuy and small Andean towns and their inhabitants that made the biggest impression on us. 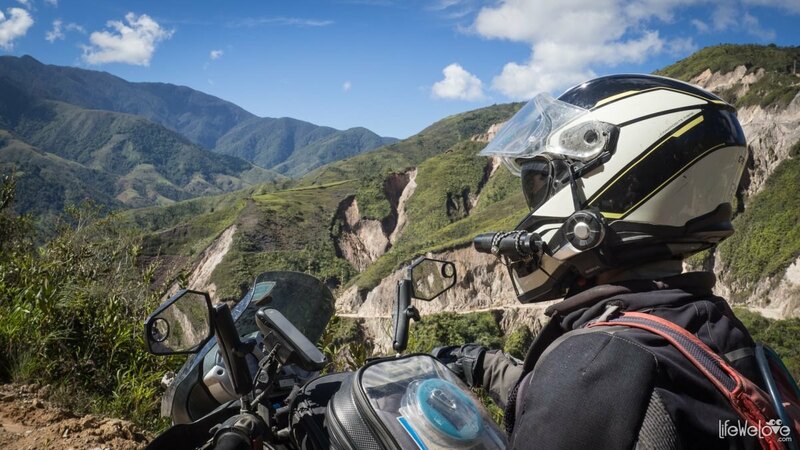 In this post we share several routes that surely will allow you to taste the beauty of Colombia and probably understand why this country in recent years has become the number one for so many motorcyclists travelling through South America. 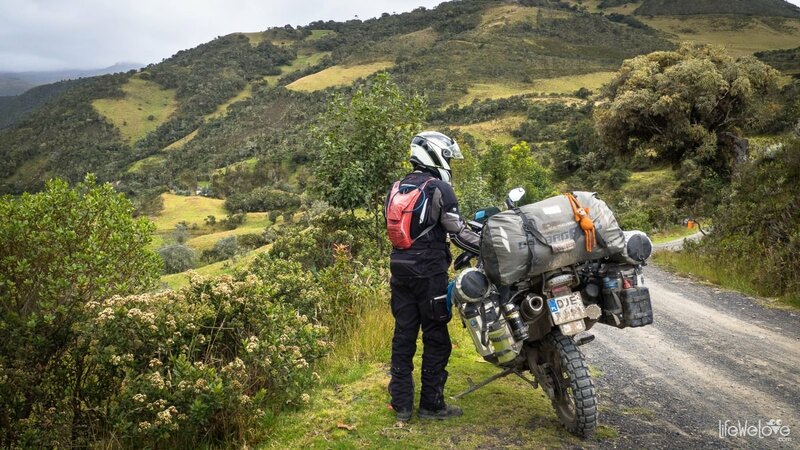 Moving towards El Cocuy in the north, an interesting route starts from Bucaramanga – one of the biggest cities in Colombia, famous for edible ants – to Malaga. 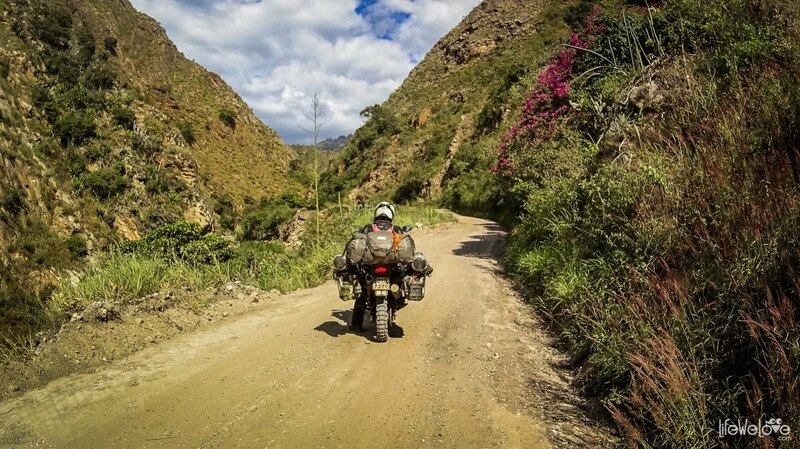 After passing the village of Los Curos and turning to the left, the whole fun begins: a very winding and scenic road to Guaca, and then through several smaller villages to Malaga. 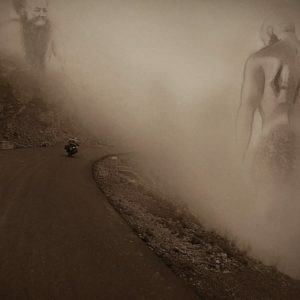 The road surface is gravel and is not difficult, although it can be harder to ride in the rain, and hence, in the mud. 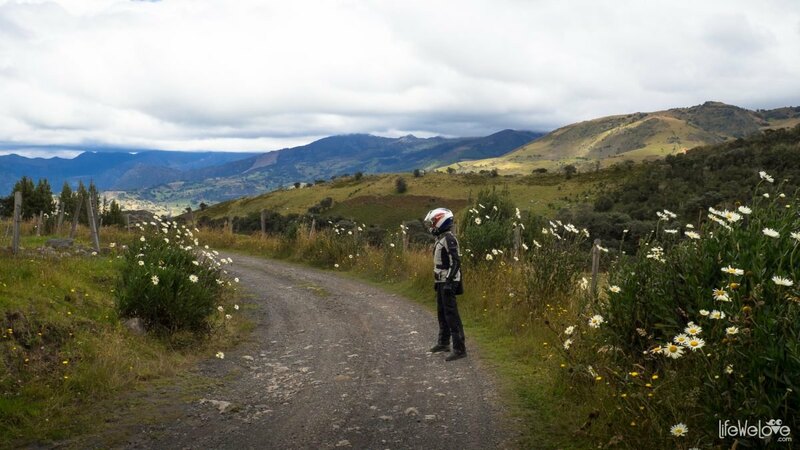 The real threat are drivers in Colombia, who ride quite aggressively and cut corners. A horn becomes the best friend in such conditions and it is strongly advised to use it on the corners. 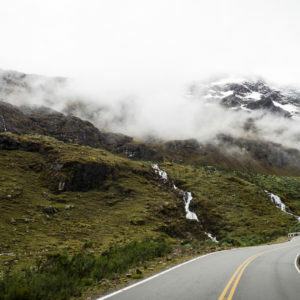 There are many big trucks on Colombian roads, so it happens that they don’t fit on the turns while passing other vehicles and create a blockage. In December 2017, when we were there, we encountered a lot of road works (from year to year in Colombia an asphalt covers more and more side roads). Add to this numerous bends and bad road surface, and you can understand why the 150 kilometer distance took us about 5 hours. 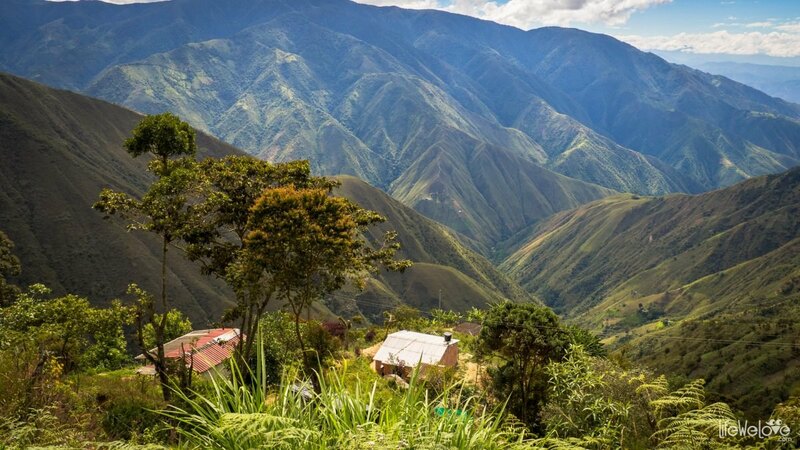 The landscape seen from the road create hills wrapped in green carpet, jungle and unique, small villages, which in Colombia enchanted us more than anywhere else in South America. Most of them can be distinguished by some cultural aspect or architecture. They are well maintained and their inhabitants welcome you with big smiles. 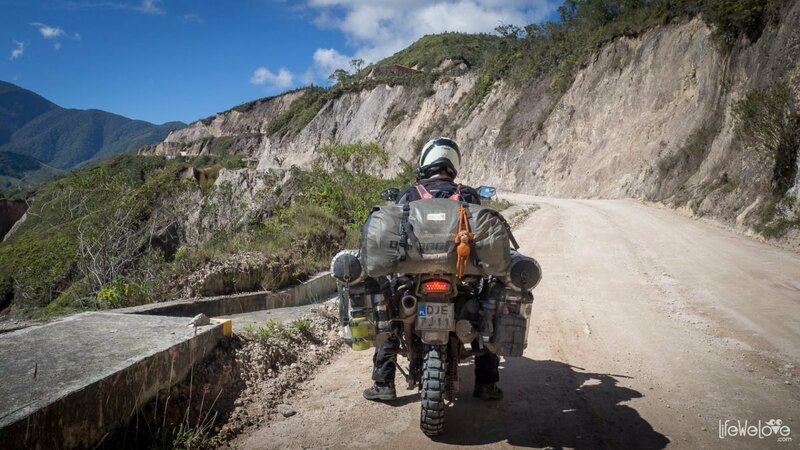 You can get from Capitanejo to El Cocuy by an asphalt Road No. 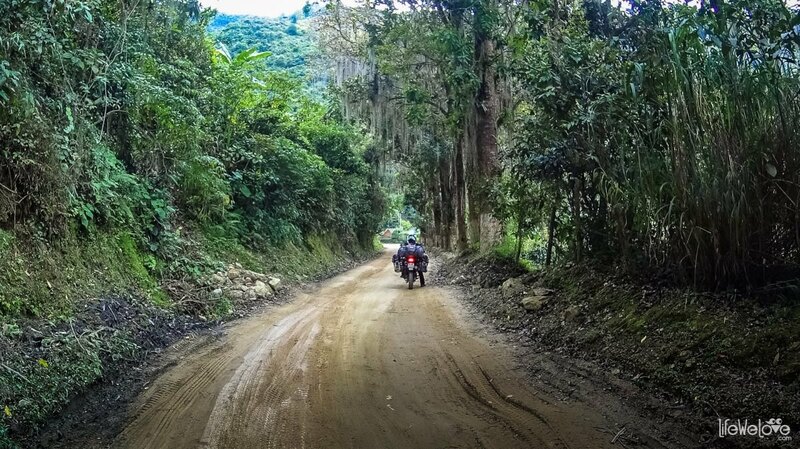 55 through villages of Soata and Boavita or, as we did, you can choose a gravel road along the Nevado River. 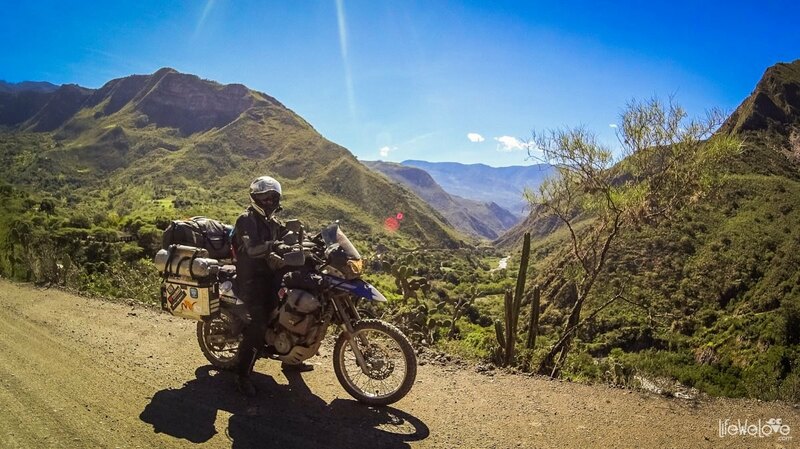 Initially it runs through an area that reminds us of some routes in Baja California, Mexico. The road meanders through the slopes between big cacti and the high temperature there may reduce your comfort. However, closer to El Cocuy the path rises up to a height of 2 750 m above sea level, so you can finally feel a bit of desired chill. The route is not demanding but 50 km section took us about 2 hours plus a stop for a delicious, freshly squeezed fruit juice purchased for a little money in a little restaurant located by the road. 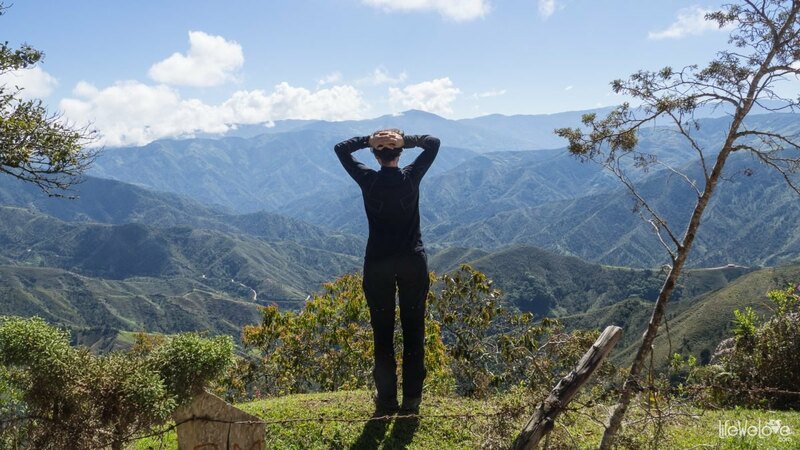 When you are in the town of El Cocuy and the weather is good you can see the snowy peaks of the mountains on the horizon and locals in their traditional costumes on the streets. 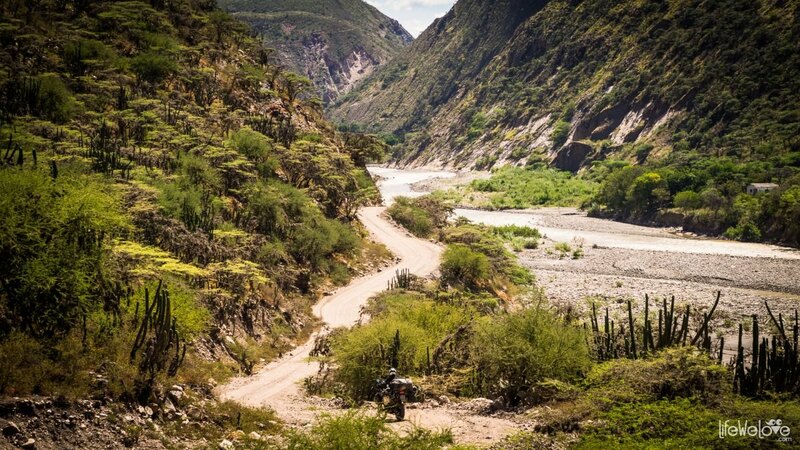 An interesting ride is waiting for those who do 50 km loop from El Cocuy to Guican. 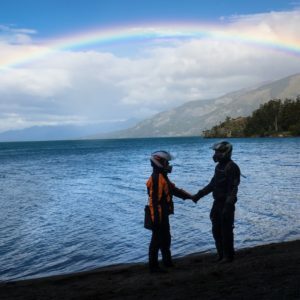 It gives an opportunity to get to know local flora and fauna, and see the Ritacuba Blanco Glacier. Unfortunately, we didn’t have enough luck with the weather at that time to fully enjoy the area. The road is gravel and easy. 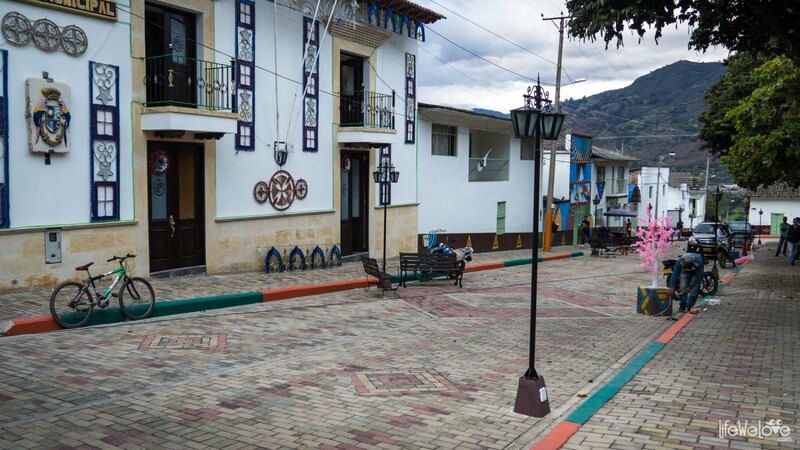 Leaving El Cocuy, you can stop in the town of Guacamayas, which is our favorite one in Colombia because of its colorful murals, curbs and other artistic details. Over 100 km long gravel Road No 64 goes up the hill with sharp bends, then descends to the lush green valley, to finally cross the village of Onzaga and a few smaller ones until San Gil. 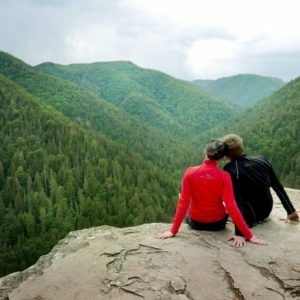 The route is easy but narrow enough to require your attention on the corners. The traffic is small and the charming villages on the way encourage you to stop and try freshly squeezed fruit juices and street food. 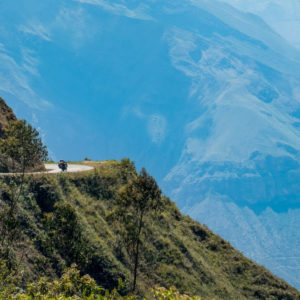 From San Gil you can take a narrow, winding road to the colonial town of Guadalupe. There you can also visit Las Gachas, the natural, colorful hot pools in the river. 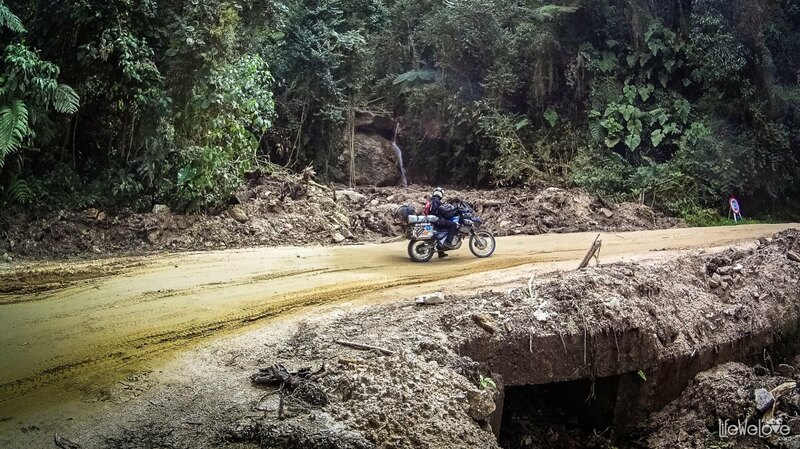 There’s a plethora of great roads in Colombia. We recommend exploring the smaller ones that run through colorful and climatic villages. Just exit the main road where hundreds of big trucks make your life harder. Coming towards Manizales by national Road No. 25 you may find a lot of traffic and road works but if you have time you can bounce a bit east and continue driving through the villages of Aguadas, Pacora and Salamis, where life flows in a quiet rhythm, and the views are delightful. 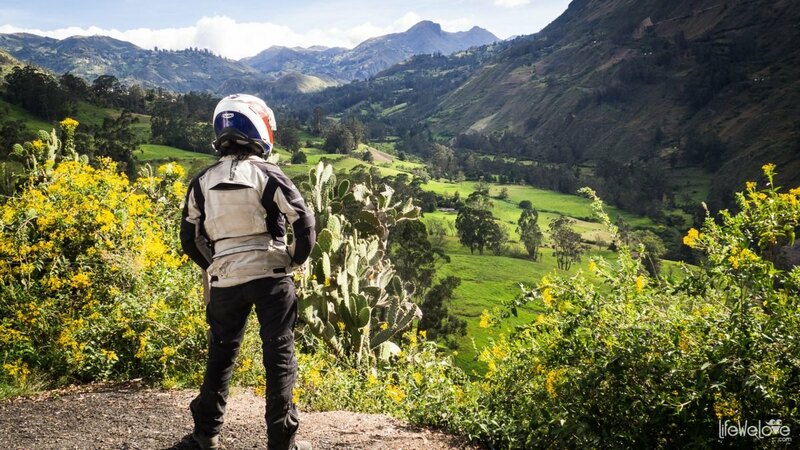 The Cocora Valley (Valle de Cocora) is also worth visiting. You will see there high wax palms growing along the road. 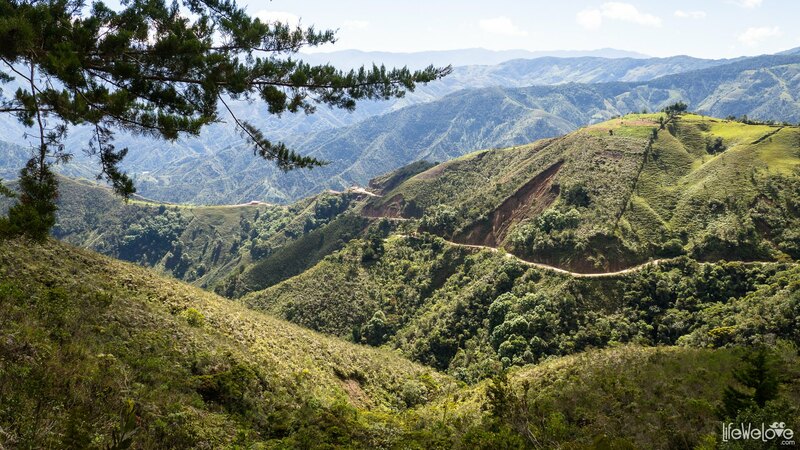 In the south of Colombia the Trampoline del Diablo is located, called by many the Road of Death. 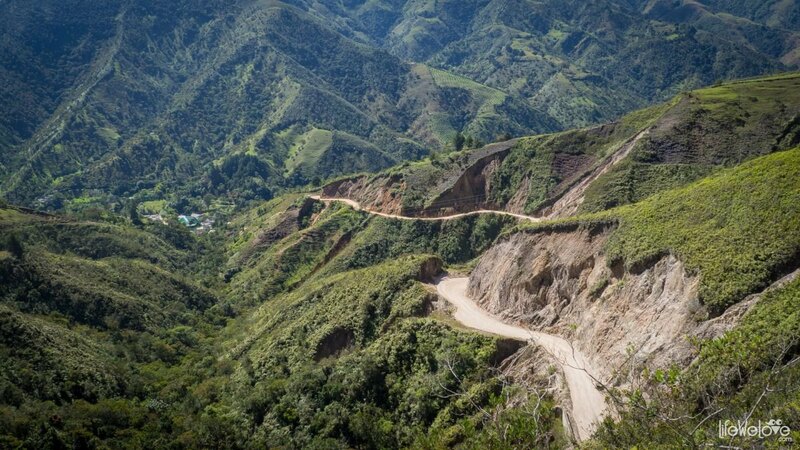 It’s a section connecting Mocoa and San Francisco which provides more than 70 km of zig-zag route. According to various sources, around 300 people died there in 1989, and more than 500 in 2011 due to landslides and steep precipices. We definitely were in a mood for this ride, but the weather forced us to change our plans. It rained heavily, and in such conditions it gets dangerous there. 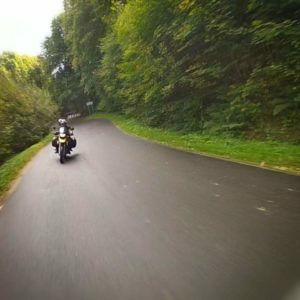 I (we) just wanted to thank you for the excellent blog post… we followed them all! 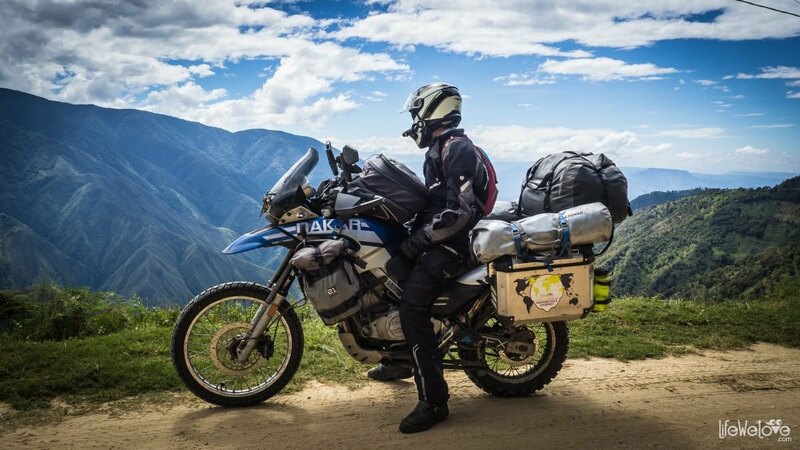 We even snapped the exact same picture of me riding off into the distance next to Rio Nevado.. we will definitely be following you along! love your blog. most important to me.